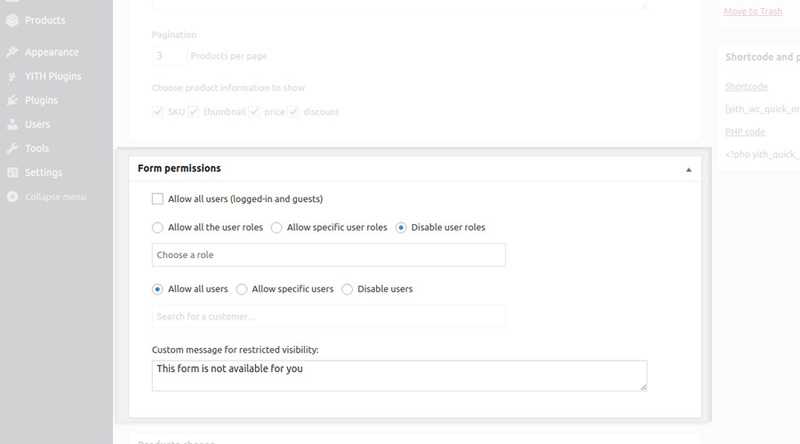 Access the plugin settings panel under YITH Plugins > Quick Order Forms and clic on Add new. You are now in the form configuration page. Let’s look into all the sections in it. Description: the text you add here will not be shown to users, but it’s a description that will help the admin identify the form quickly in the list of all forms. 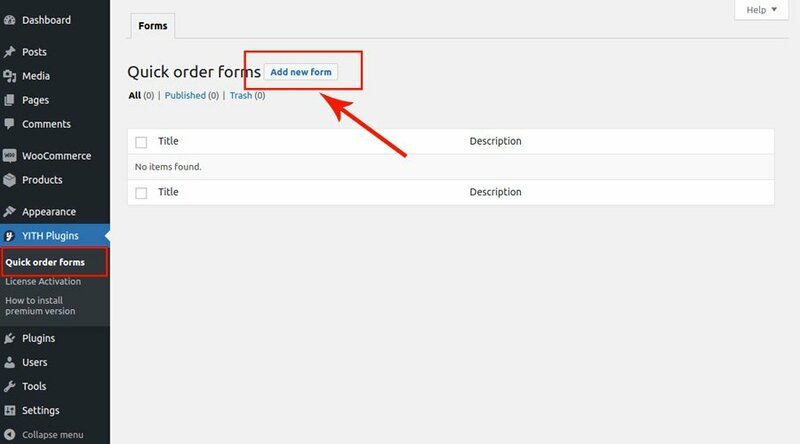 Choose how to sort the form by default: Sort on price, sku, date, name or menu. 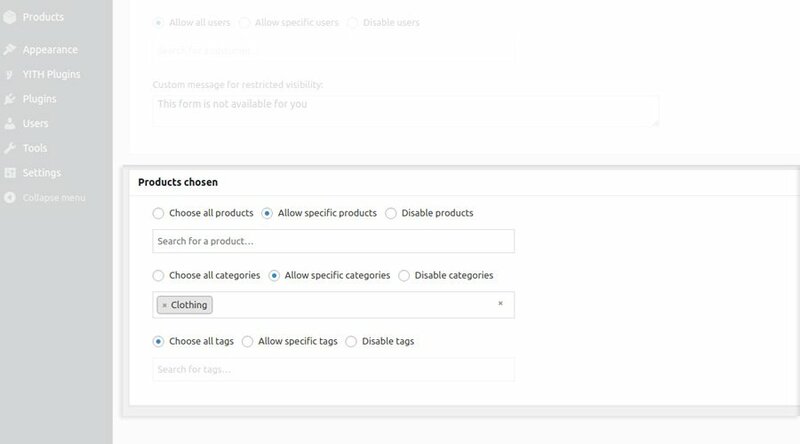 By default, the form can be accessed by every user, but you can set visibility restrictions and make it available to a selection of users only. Unauthorized users will be shown a message that you can edit in the field “Custom message for restricted visibility”. There are two different ways to add the form to your website’s pages. 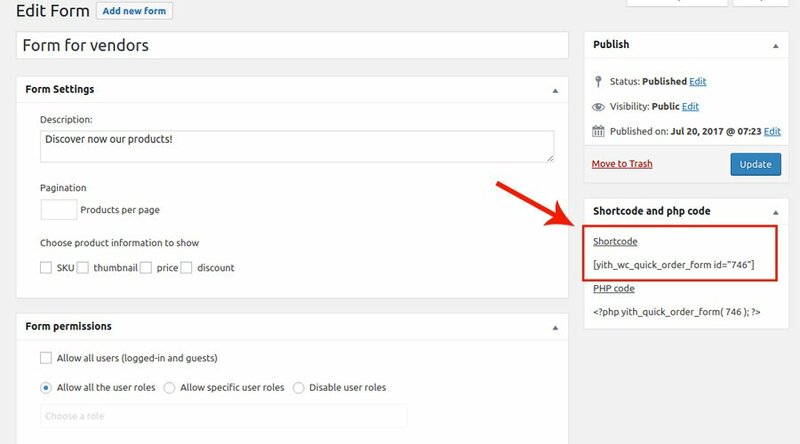 Go on the form edit page, copy the shortcode that you find on the right side and paste it onto the page where you want to add the form. 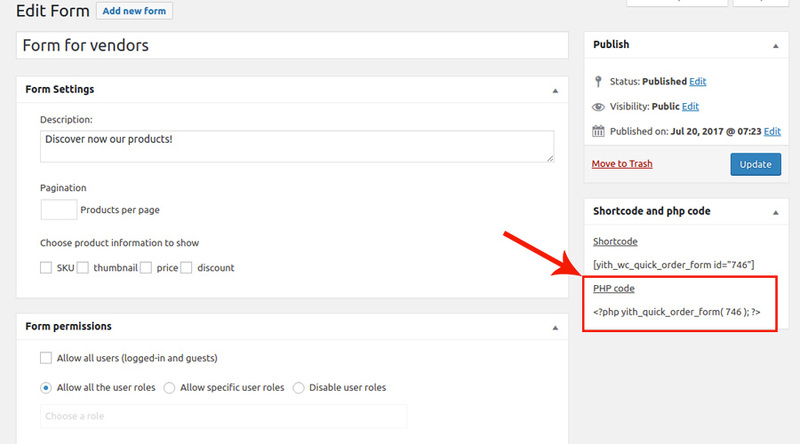 As an alternative to the shortcode, you can edit your theme templates. To do this, you can use the PHP code that you find on the form page. 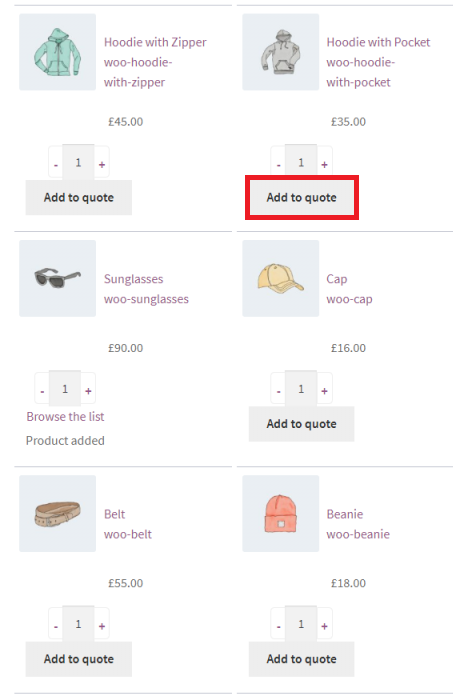 If you add the widget “WooCommerce Cart” into your sidebar, users will be able to see their cart contents update in real time. Every time users add a new product, the cart updates via AJAX instead of making the page refresh. 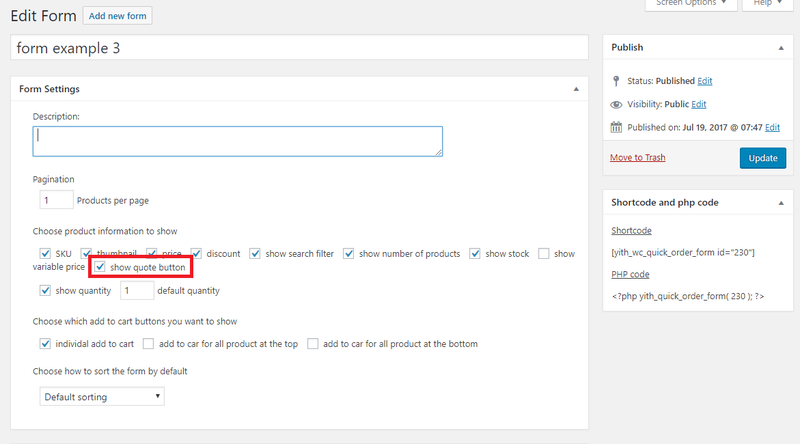 In order to show the widget only on the pages where there is also a product form, enable the option “Show only in form” that you find in the widget.